France: Funeral for Holocaust survivor murdered by an Islamonazi for being Jewish ……. – The Tundra Tabloids……. France: Funeral for Holocaust survivor murdered by an Islamonazi for being Jewish ……. 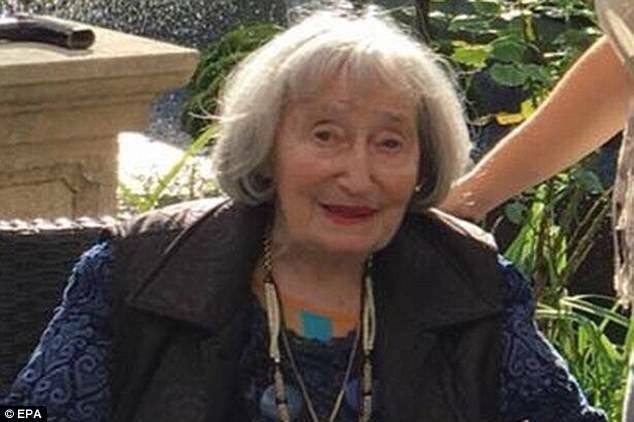 Grieving family members have gathered for the funeral of an 85-year-old Holocaust survivor who was stabbed to death for being Jewish in a case that has shocked France. French President Emmanuel Macron joined Mireille Knoll’s relatives and friends for the service in the Paris suburb of Bagneux five days after she was stabbed to death in her flat in the French capital in an anti-Semitic attack. He could be seen speaking to Knoll’s son, Daniel, as somber-faced guests arrived at the Jewish section of the cemetery. Later today, silent marches are being held around the country in her honour, and to denounce racism. Previous Post Previous Post Twitter suspends Tommy Robinson’s account…..! Next Post Next Post Hillel Neuer blasts UNHRC for allowing racist dictatorships listing Jews living in E.J’lem as a war crime……..